Beer geeks and industry folks gathered at the Horse Brass last night to give another sendoff to legendary publican Don Younger, who passed away a year ago last week. The event was well-attended, as beer people packed the area around the back bar at the HB...and parking was scarce. The main event was the unveiling of a new John Foyston painting of Younger. Prior to the unveiling, Foyston tapped a Firkin of Firestone Walker Union Jack IPA for all to enjoy. Lots of mingling. Good times. 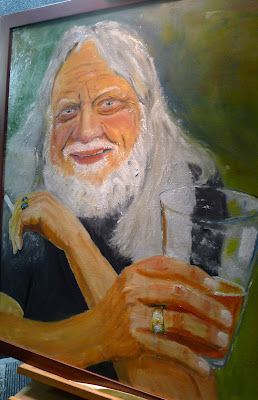 For the unknowing, another Foyston painting of Younger hangs over the mantle at Lompoc's Sidebar on North Williams. Younger was a partner in the Lompoc operation and the Sidebar painting was mounted just months before his death. 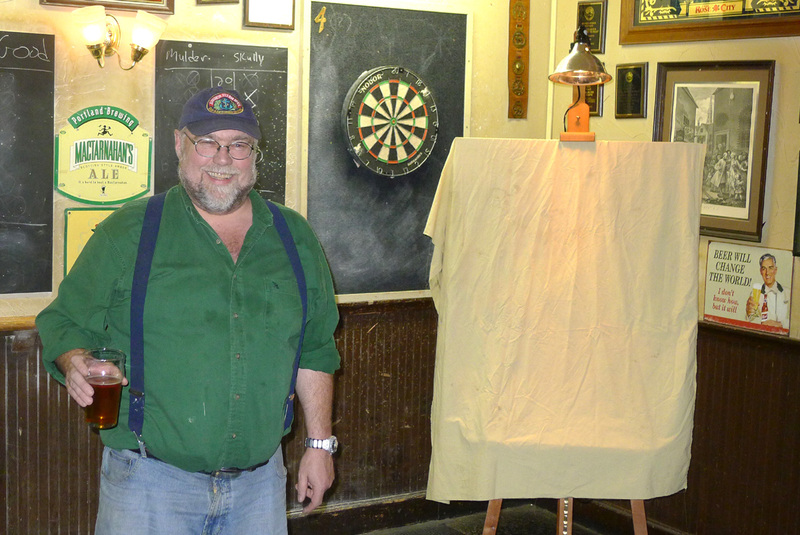 When Don first saw that painting, he was shocked, but loved it, according to Foyston and Lompoc owner Jerry Fechter. The newly unveiled portrait is a painted version of a picture taken by Lisa Morrison, aka the Beer Goddess. It appropriately shows Younger drinking a beer from a glass (he's drinking from a plastic mug in the picture at Lompoc) and smoking a cigarette. His favorite vices. Morrison took the photo at Amnesia Brewing. 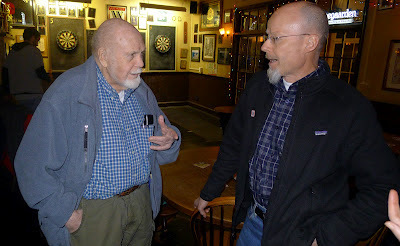 While we surely crossed paths many times over the years, I never formally met Don Younger. So my points of reference with him revolve around the legendary stories, which are many. I've always been drawn to the one about how he wound up owning the Horse Brass. The story is well-known. He evidently bought the place during the course of a day and night of drinking, and wasn't sure what he'd done when he discovered the bill of sale the next morning. He may have been a little groggy at the time. After he took over, the Horse Brass would eventually become a place where players in the fledgling craft industry met to share ideas over a few beers. Some of those same folks, people like Fred Eckhardt and Rob Widmer, were on hand last night, honoring their departed friend. This event and the people who attended it are proof of Younger's lingering and extensive influence. Without him, the Portland beer landscape would not be what it is today. Foyston's latest portrait will hang as a testament to that notion.